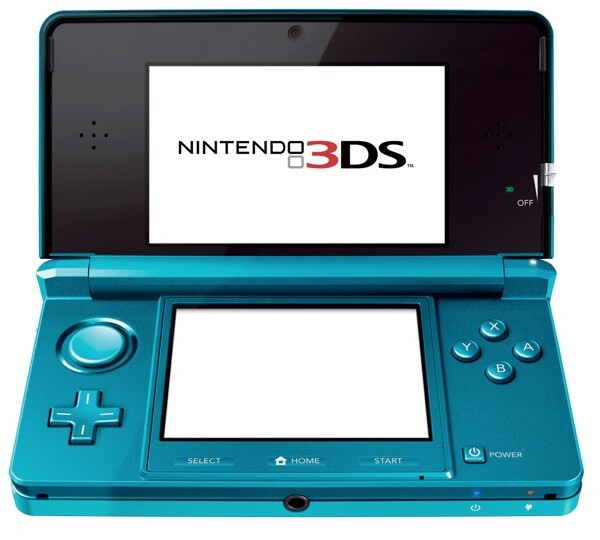 Home / Games / Nintendo / 3DS / Are Dedicated Gaming Handhelds on The Way Out? The mobile gaming industry has changed…perhaps forever. Just a few short years ago, this was an industry that belonged almost entirely to Nintendo and Sony. Playing games on a phone was nothing more than a cheap novelty, nothing to be taken seriously. Who would’ve thought that the two of them would cede significant marketshare to Apple? Who would’ve thought that the iPhone of all things would become one of the most popular gaming platforms on the planet? This isn’t me boasting about Apple’s success on their behalf (their marketing department has that taken care of); I’m just pointing out a few facts. As much as I don’t particularly care for Apple, even I have to admit that they have done a great job marketing iOS as an attractive platform for development and getting the games in the hands of end users with the App Store. In fact, they’ve done such a great job in doing this that iOS surpassed the DS and PSP in terms of developer interest quite some time ago. Granted, these two consoles were in their respective lean years by the time this happened but the fact that this even happened at all is pretty significant all the same. With this in mind, I can’t help but wonder…does the dedicated gaming handheld still have a place in this changing mobile industry? The 3DS and PS Vita are an amazing pieces of hardware (the Vita more so, in my opinion) but in an age of iPhones and Android phones becoming legitimate mobile gaming platforms, I can’t see it taking off. The 3DS is already a herald of the change that has befallen the handheld industry. Sure, its struggles in the marketplace can be attributed to the lack of “killer apps” but I think it has more to do with consumer disinterest in dedicated gaming handhelds. Smartphone ubiquity has all but pushed the handheld out of people’s minds. After all, who’s going to want to buy another gadget to play games on when the smartphone they already own can play Angry Birds and Real Racing 2 just fine? And that’s the big issue here. In an age where smartphones do so much more than simply making phone calls, people have started lightening their loads in terms of how many gadgets they carry with them. When your phone can play some pretty good games for low prices, you have to consider that the purchase of another handheld means another gadget to try to stuff into your already crowded pockets or purse/handbag and carry around with you. Personally, I like only carrying around five things with me when I leave the house (wallet, keys, cell phone, iPod touch and earphones) but that’s just me. Don’t get me wrong, I know full well that iPhone games are nowhere near as expansive as their counterparts on the DS, 3DS and PSP but I don’t think casual gamers (the vast majority of the market) are going to care about that. 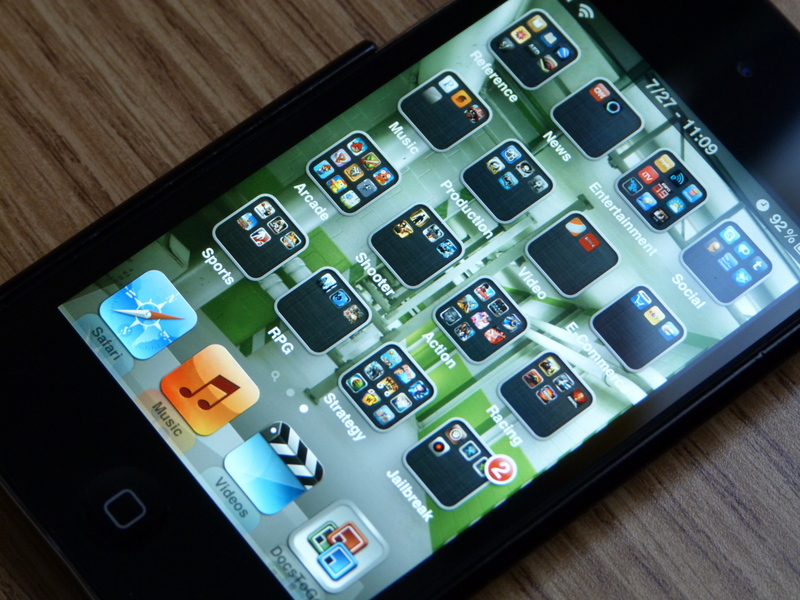 Hell, recent studies show that iPhone gamers are happy with the games they have available to them. But here’s the kicker. 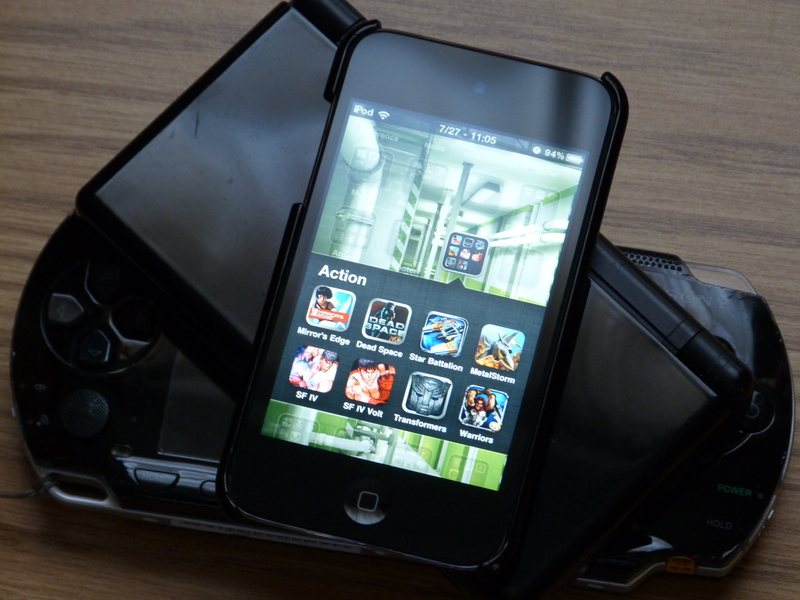 Though iPhone and Android games may not be as substantial as portable games for the DS and PSP, they’re also nowhere near as costly. 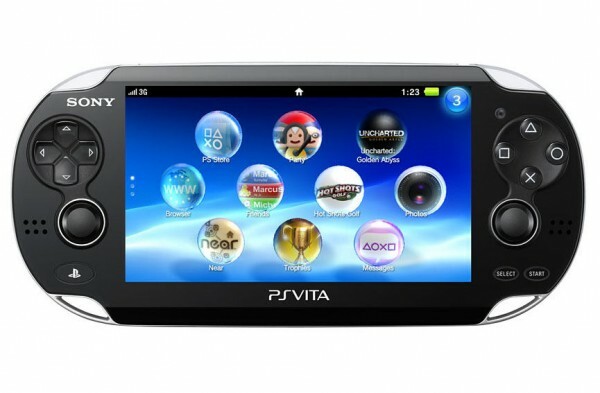 Games for Sony and Nintendo’s handhelds typically retail for $30 to $40. iPhone games? They average around $1.05. Of course, there are a number of games that cost much more than a dollar such as Gameloft titles, which typically sell for $6.99 and there’s the occasional outlier such as the Square-Enix games Chaos Rings Omega which is priced at $12 and Final Fantasy III which goes for $16 (!). Sure, Final Fantasy III seems stupidly expensive in comparison to other iPhone games but when you consider that the DS version of the same game currently sells for about $20 and was initially priced at $40, it almost seems like a bargain. Combine that with frequent sales on the more expensive iPhone games (I’ve picked up a number of Gameloft and EA games for $1 each during these sales) and you’ve got a recipe for success in the casual gaming market. Part of the problem for me is that I don’t see myself getting much use out of a 3DS and/or a Vita. Take the Vita for example. Right now, the biggest game that has been announced for Sony’s yet to be released handheld is a new title in the highly popular Uncharted series. 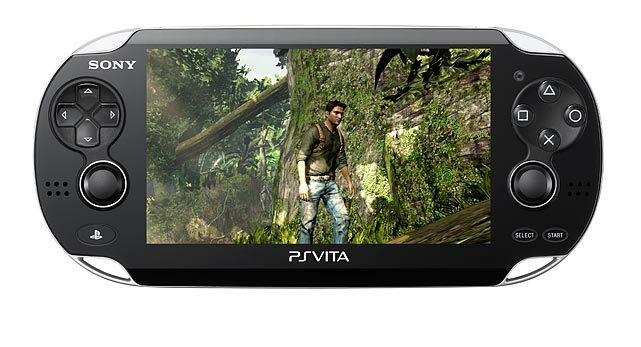 From what I’ve seen, it looks great and makes great use of the Vita’s hardware (dual capacitive touchscreens, gyroscope, dual analog sticks) but I can’t see myself buying it on a handheld I’m not likely to carry with me on a daily basis on account of it not being pocket friendly and if I’m not carrying the Vita with me, what’s the point? I’m probably not going to play the Vita’s version of Uncharted when I have a PS3 at home that I can play Uncharted 3 on, which will most likely be superior to the portable version in practically every way. I like the idea of the Playstation Vita and Nintendo’s 3DS and the gamer in me would love to play around with them but I can’t see myself dropping $250 on another gadget (much less two of them) to carry around with me when my iPod Touch is a good enough gaming platform for me when I’m away from my home consoles and PC. I guess this is the major problem with the Vita and 3DS, at least for me. The two of them will offer better games. I’m certain of that. But are they so much better that I’ll be fine with the cost of admission? It’s not like I can’t work these two systems into my budget when the big name titles start coming out but I don’t think I want to. Will I be missing out? Sure but I don’t mind that too much. For now, and my opinion may very well change, my iPod is a competent, even good mobile gaming system and, for me and likely millions others like me, “good” is good enough.